In my ongoing exploration of the area’s history, I find myself often comparing how our experience parallels that of those who’ve come before. How are our traditions alike or how are they different? How can we engage in that history, and experience life in similar ways? 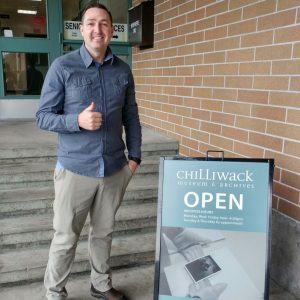 In our last blog post our archivist, Tristan Evans, gave us a delicious account of Chilliwack’s long history of produce stands. A particular portion sparked my interest, Mrs. Caroline Christie’s Hot Dog Relish, and the book that carries on the formula, Pioneer Recipes. 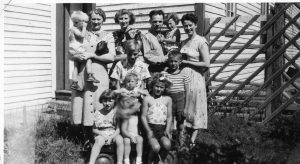 Circa 1930, James and Caroline Christie operated multiple local businesses, including the eventual Christie’s Farm Fresh Produce. While the establishment did house a hot dog stand, that portion was only in operation for roughly 10 years from 1940 – 1950. I find it interesting to imagine that 8o years ago locals would be stopping in to Christie’s with their families to pick up some fresh produce and have a hot dog made with Caroline’s homemade relish. Caroline made 350 gallons of this relish annually, which speaks to the demand of her local customers! It is also interesting to note that the hot dogs were ten inches long and cost a dime. 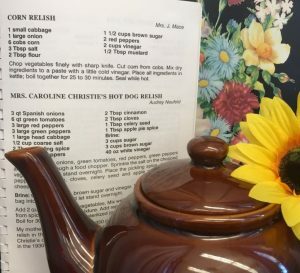 After locating the recipe for the relish, I can now set out to re-create it, and share it with my family. How difficult will it be to prepare? How will it taste? How will the act of preparing the relish give me the opportunity to experience this piece of history? Comparatively in our temporary exhibit, Mountaineers, there is a reproduction of a diary from 1928 titled “A Trip to Paradise”. The diary is a collaborative account of six young adults and their assent of Liumchen Mountain. While the diary does a beautiful job of recording the natural beauty and camaraderie of the trip, it also provides insight into what the group were eating. Breakfast consisting of pancakes, bacon, and coffee; Lunch of sandwiches, cookies, raisins, and dates; A dinner of ham, bread, and string beans. And for dessert? Chocolate éclairs and rice pudding. This 90 year old meal plan could easily be one we plan for a camping trip today. Having obtained a copy of Pioneer Recipes, I had secretly hoped to find obscure fantastical early pioneer meals of sweet breads, haggis pie or even a mystical “Lièvre Royale”. Alas, the frightening foods of our past are mostly relegated to post 1960’s entertainment magazines. Although we have changed in many ways, (socially, economically and technologically); gastronomically, we still enjoy our hot dogs, puddings, bacon and eggs, and even perhaps a nice bowl of macaroni and cheese. A copy of Pioneer Recipes, Published by the Chilliwack Museum and Historical Society is available to view at The Chilliwack Museum. 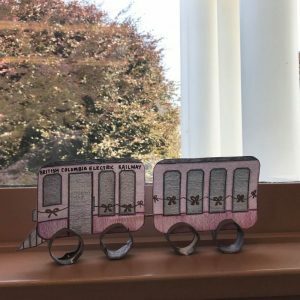 If you’ve visited the museum over the last few years, you’ve likely noticed various mini “exhibits” on the hallway between the two galleries. 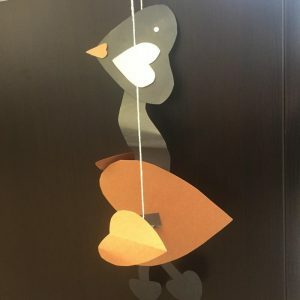 Over the past few years the hallway has been home to the photographs from the Kidtography Exhibit to journal entries from the Classroom in Residences program, both were collaborations with local classrooms. Ultimately, this hallway has become a space for the Education and Engagement Coordinator to display collaborative community projects. A very happy me with the fresh vinyl. 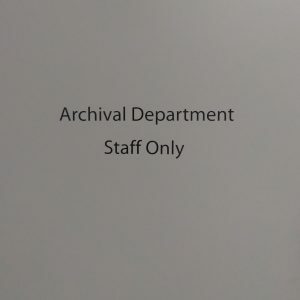 With the school year having come to a close, the Classroom in Residence journal entries were removed from the wall. Knowing we wanted to keep this space as a home for community exhibits, it seemed appropriate to finally name the space. After some deliberation we settled on the “Community Gallery.” The Community Gallery would be home to future community collaborations to be displayed. With the Community Gallery named, it was time to create a display or rather exhibit. 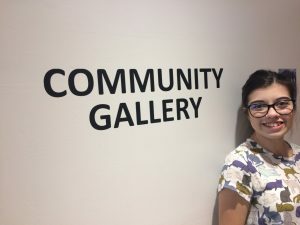 To coincide with our latest exhibit “Mountaineers: Community Experience in Chilliwack’s Mountains”, curator Anna and I decided to hold a photography competition. 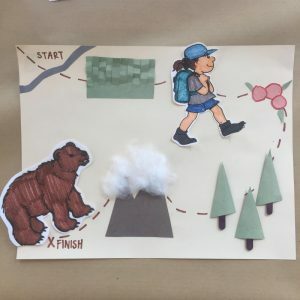 The theme of the competition was engaging with our local mountains, meaning entries could be of hiking the mountains or images of the mountains from afar. From July 14th to August 3rd, we asked the community to use social media to submit their photos of the local mountains with us. The requirements were to use #chwkmountaineers, tag us @chwkmuseum, follow us and identify the mountain in their photo. Of course many of the entries featured some of Chilliwack’s better known peaks such as Mt. Cheam and Mt. Slesse. All of the entries were amazing and it was exciting to see the community taking part in our competition. 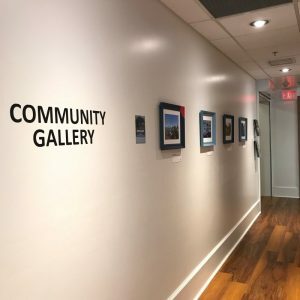 The Community Gallery featuring its latest exhibit, Mountaineers Photo Competition. Along with prizes, our three weekly winners and overall competition winner will have their image displayed in the Community Gallery until the conclusion of our Mountaineers Exhibit in early 2019. Join us in celebrating these community connections by visiting the museum to see the latest exhibit in the Community Gallery, on display now. Big tech companies and government agencies have the advantage of using facial recognition software to help them identify individuals from digital images. While I love a good conspiracy theory, I’ll break the myth and let you know that as a small community archives, we do not have such technology in our possession. 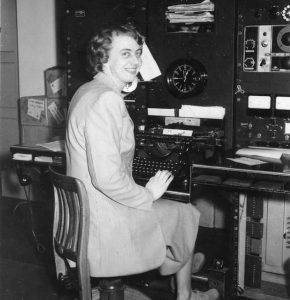 However, we here at the Chilliwack Museum and Archives have a secret tool that Google, Facebook, and large agencies do not have. We have a great set of dedicated volunteers and a community that cares about preserving Chilliwack’s history. Today I am going to tap into the community (you) and ask for help. 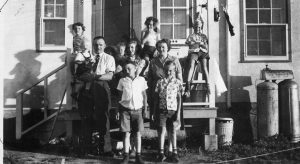 Throughout this blog you’ll notice photographs from a large collection. The donor, I, and our volunteers have all tried to identify these remaining photographs from this large collection. Unfortunately we have not had any luck. 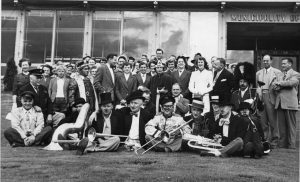 This is when I ask you to kindly put on your archives hat and see if you recognize any of the individuals in these photos and/or maybe the event itself. Any information you have on these photographs is appreciated. Feel free to contact me directly if you recognize these photographs and I will gladly update our database. You can find my contact information at the bottom of the blog post. After you’ve looked at all the photographs of course. Just three more photographs to go. How about this fantastic family on the right with “smiling” kids? Almost done. How come this family is so lucky? They appear in a few of these photographs! You made it to the final image… for now. 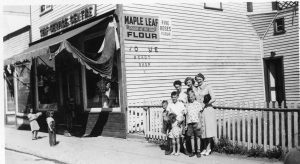 Recognize where this store is? Last fall while attending the University of the Fraser Valley, I took a directed studies course with history professor Scott Sheffield. 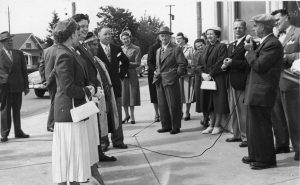 The purpose of my directed studies was to create a local history kit on Sumas Lake to be used by the Chilliwack Museum and Archives. 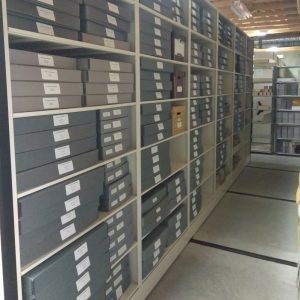 Having worked at the museum the previous two summers, I was quite familiar with the current local history kits and the type of resources they provide. From my research, I gathered materials that best depicted the vast history of Sumas Lake and the impact its drainage had on the community. While working at the Museum these past few months I have been able to complete the kit, making it an available resource for educators. Sumas Lake Local History Kit. To provide a brief overview, located in the Fraser Valley between Vedder Mountain and Sumas Mountain, Sumas Lake blended the border between Abbotsford and Chilliwack. In its peak season, the lake could expand to as large as 33,000 acres; on average the lake spanned 10,000 acres for the better part of the year. The lake was used by the whole community. For new settlers, it was a place for family picnics in the summer and ice-skating in the winter. 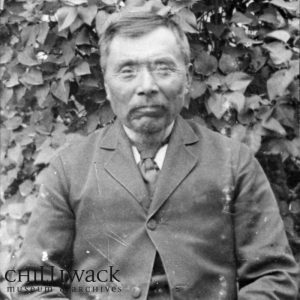 For the Stó:lō people, Sumas Lake and the land that surrounded it was an important part of the daily lives and culture. Plans to drain Sumas Lake had existed for 30-40 years, previous to the 1920’s scheme. While previous iterations of the plans failed, the project undertaken in the 1920s had several phases, culminating in the creation of two pump stations which removed (and continue to remove) water from the natural occurring lakebed on the Sumas flats. The pumps, located at Barrowtown and McGillvary Creek, were the largest of their kind in Canada when initially constructed and were capable of draining water from an Olympic-sized swimming pool in twenty seconds. The pumps began working on July 3rd, 1923 and the lake was successfully drained by June 1924, nearly a year later. The draining of Sumas Lake is a multi-layered and complex subject, and many aspects of the drainage were (and remain) controversial to this day. 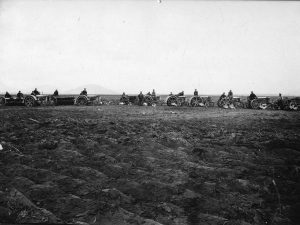 The purpose of the kit is to explore the controversy, such as the impact on farmers and the local First Nations, both at the time of the drainage and current today. Through the primary and secondary sources included in the kit, ranging from newspaper articles advertising meetings regarding the reclamation project, images of tractors on the dried up lake bed, to booklets written on the overwhelming mosquito population, students have the ability to engage hands-on with their local history and make inferences as to why the lake was drained and the impact the drainage had and continues to have. 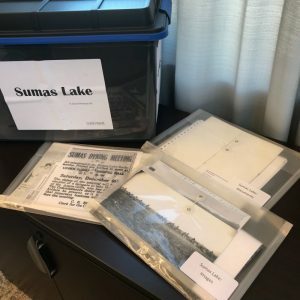 Like many of our other local history kits, the Sumas Lake kit can be adapted to suit various grade levels and educators have the ability to create their own lesson plans using the information and primary and secondary materials provided in the kit to suit individual class needs. The Sumas Lake kit is available for booking by educators for the 2018-2019 school year and can be booked online or by phone at 604-795-5210. As the summer approaches, myself and our education assistant, Abbie are planning our summer activities! For the past two years the museum has offered weekly craft activities throughout the summer. This year our activities will be taking place in July. Every Wednesday in July we will be offering both a morning and afternoon session of guided crafts. 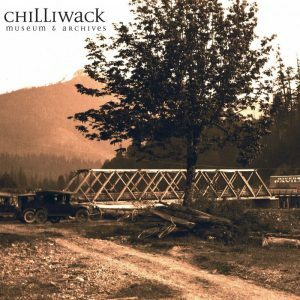 Each week we will be focusing on a theme related to Chilliwack’s vibrant history, offering a specific craft related to the topic. We will be offering both a morning session from 10-11am and an afternoon session from 2-3pm. July 4th: Mountaineering featuring a map craft. July 11th: Chilliwack Flying Club/Chilliwack Airport featuring a clothespin airplane craft. July 18th: British Columbia Electric Railway featuring a train craft. July 25th: Chilliwack Fair/ Agriculture featuring a fair focused puppet craft. 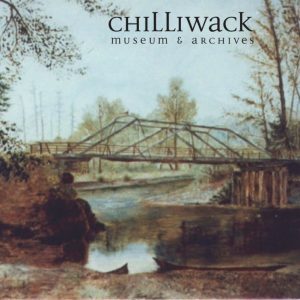 Location: Chilliwack Museum, 45820 Spadina Ave.
Activities are suitable for ages 5 and up. The B.C. Electric Railway train craft that will be offered July 18th. Along with our summer activities at the museum, we will also be at various outreach events throughout the summer, such as Cultus Lake Day and Canada Day. Stop by and say hello! Do you ever see old items and get the overwhelming urge to handle them? Well have no fear, the discovery bins are here for you! The Discovery Bins are located in the Community of Villages. 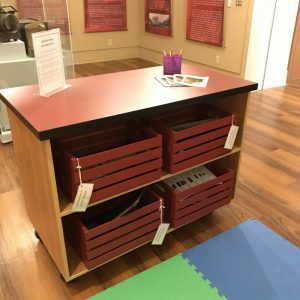 Located in the back section of our permanent exhibit is an interactive discovery bin station. The discovery bins provide a more hands on and interactive experience for visitors of all ages, though they tend to appeal largely to children. For children, these bins help them learn about and test out tools people once used in their home or to communicate with each other. For other visitors, the artifacts in the bins can be a trip down memory lane, as they see familiar items that may have been found in their childhood home’s kitchen. We currently have six themed discovery bins available for exploration. The themes are farming, kitchenware, communication, travel, education and local First Nations history. In each bin various artifacts are provided along with interactive games and worksheets. The worksheets can be helpful in starting the conversation about what something is and how it may have be used. A Discovery Hunt booklet takes visitors through each bin as a type of scavenger hunt. Do you recognize this artifact? Next to it is a glimpse of our Discovery Hunt Booklet. Some of our most popular artifacts are an eggbeater, a rotary phone and a butter press. 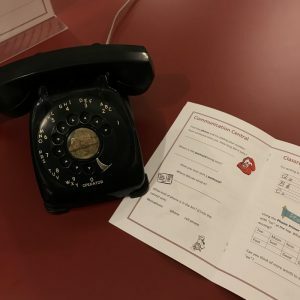 With the way technology has evolved, for some visitors these older forms of modern items can really puzzle some of our younger visitors. On your next visit make sure to check out the discovery bins, you’ll never know what you’ll find!